Genesee Lake School is a private, year round therapeutic school providing both day school and residential services. Our school supports over 150 students in a state of the art facility specially designed to meet the unique educational, social, emotional and behavioral needs of our students. We work with students at their individual instructional level in a way that promotes academic and behavioral success. Our Education Director provides oversight and leadership to all aspects of the special education services provided at Genesee Lake School. Responsibilities include, but are not limited to: identifying curriculum needs, ensuring effectiveness of teaching methods and programs and alignment with the therapeutic philosophies of Genesee Lake School. The administrator ensures that all school activities comply with federal and state regulations and collaborates with the residential leadership team to ensure consistency across programs and services. The administrator leads a department of professionals to ensure the success of students. The position has a role in the marketing of our day school services to local school districts and ensuring census benchmarks are met. An ideal candidate will be a seasoned leader in the field of special education, both in the areas of teaching and administration, with a proven track record of developing relationships with students, families and districts. 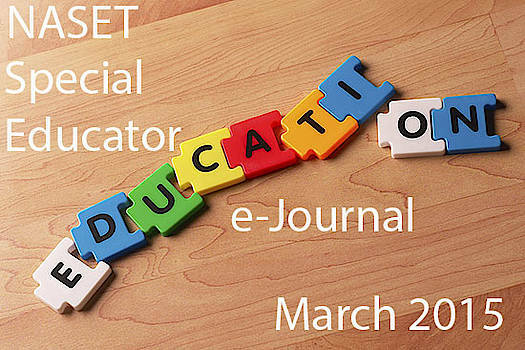 Background knowledge of special education law and budgeting is essential. Experience in a private school setting is a plus. Qualified candidates will hold a Masters Degree in an education related field with licensure as a school administrator or be eligible to obtain the appropriate licensure. Interested candidates should submit a cover letter and resume to Kim Ray, Executive Director at kim.ray@geneseelakeschool.com or apply online at www.geneseelakeschool.com. Master's degree in Early Childhood Special Education or closely related field (terminal degree preferred), 3 years of progressively responsible experience in the field, and experience in a preschool setting. For posting details and to apply choose your highest level of education and follow the link. Riverview School in East Sandwich, MA on Cape Cod is seeking the next Head of School to begin July 1, 2016. Riverview is one of the premier residential schools in the country serving students with complex language, learning, and cognitive disorders. The school enrolls over 200 students in two main groups: ages 11- 19 in the secondary school and ages 17- 22 in the GROW transition program. The school is in excellent shape with a balanced budget, wonderful facilities, and is in a superb and desirable location. The salary will be competitive and excellent housing will be provided. The school's website is www.riverviewschool.org. Strong background in special education and experience in working with a population similar to that at Riverview. The school has an 18 million dollar annual budget and the Head is the CEO and is responsible for the academic program, the financial sustainability, and all aspects of school life. The ability to delegate to a highly trained and competent staff, including key administrators, is critical. Previous work in a non-profit setting and work with a Board of Trustees is highly desirable. Above all, the next Head must be able to connect with Riverview students and families. The Special Education teacher will provide instruction of students with a variety of disabilities in mainstream and resource room settings. Develop or adapt materials and lesson plans; provide direct instruction to individuals and groups, co-teach and/or collaborate with general education teachers. Evaluate instructional materials for appropriateness to student needs and scaffolding when appropriate and monitor student performance. Ensure compliance with special education due process including developing and implementing IEP in collaboration with families, students and teachers. Regular, positive and open communication with families, caregivers and students to ensure clear understanding of student strengths, challenges, goals, progress and potential. 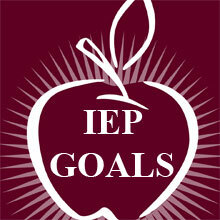 Facilitate required IEP team meetings. Regularly assess and evaluate learning based on best practice. Measure and report on student progress, and reinforce students' outstanding contributions and performance. Maintain various required records and data according to established policies and procedures, ensuring the accurate and timely availability of such information as needed. Magnum Medical has an opening for an experienced Early Childhood Special Educator to work with infants and toddlers of American military families stationed overseas. The position works with a home-based early intervention program, and is currently available at Spangdahlem AFB, Germany. Position requires a Master's degree in Special Education, a minimum of two years experience within the last five years working with developmentally delayed children in the 0, 1 & 2-year age population in a home-based early intervention capacity, and a current state teaching license/certification to teach in this capacity. Medical and dental benefits available, paid relocation, competitive tax-advantaged compensation, 401K plan, generous paid time off.